Earlier this month Sandile Mantsoe was found guilty of murdering his ex-girlfriend Karabo Mokoena. Karabo is one of many South African women that have been killed by their intimate partners. 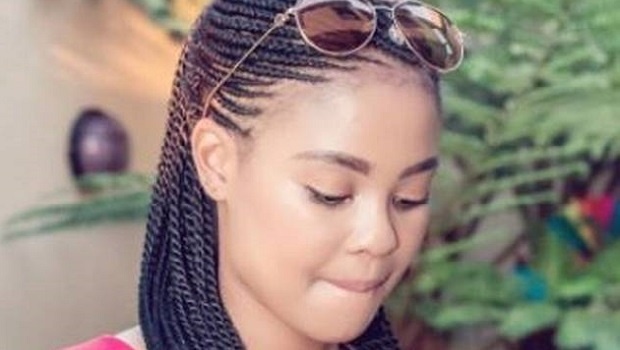 Karabo Mokena's case is not an isolated event. An article in Marie Claire written by Afika Jadezweni, highlighted the names of women who have recently been killed. She wrote, "Reeva Steenkamp, Amanda Tweyi, Karabo Mokoena, Zolile Khumalo, Siam Lee and Anene Booysen. These are just a few names of the women who have made it into the news for losing their lives at the hands of men, including intimate partners." In 2017, a man was found guilty of the murder and kidnapping of 21-year-old Anelisa Dulaze from Khayelitsha, who went missing on her birthday in 2016. "Her body was found a few months later, buried by the man beneath concrete in a neighbour's yard," the Huffpost article stated. And just this month, a Mangosuthu University of Technology (MUT) student Zolile Khumalo was shot and killed by her ex-boyfriend in front of her roommate. In 2017, City Press reported that, "South Africa has seen a spate of brutal murders and rapes of women across the country. According to stats stated by Minister of Arts and Culture Nathi Mthetwa at a femicide imbizo last year, he shared that many surveys conducted on the matter show that a woman dies at the hands of an intimate partner, every eight hours (on average), in South Africa. Africa Check spoke to Major-General Sally de Beer, the South African Police Service’s head of corporate communication to verify and found these claims to be untrue. But the data gathered by MRC and checked by Africa Check reveals that South African women are more likely to be murdered by an intimate partner. This graph was complied based on stats by Africa Check. No data from WHO was available for the years 1999 and 2009. Although the stats seem to be decreasing as the years go by, in comparison to the rest of world, South Africa has a huge problem on it's hands that needs to be dealt with. Our country's femicide rate is five times higher than the global one. And cases (especially ones that concern intimate partner violence) that make national news are important to keep bringing attention to a serious issue that affects us all. *This article has been updated to properly credit Marie Claire as a source. Sign up to W24’s newsletters so you don't miss out on any of our topical stories and giveaways.